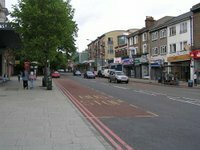 There have been a number of planning developments in Forest Hill in which the Society have been taking a close interest. 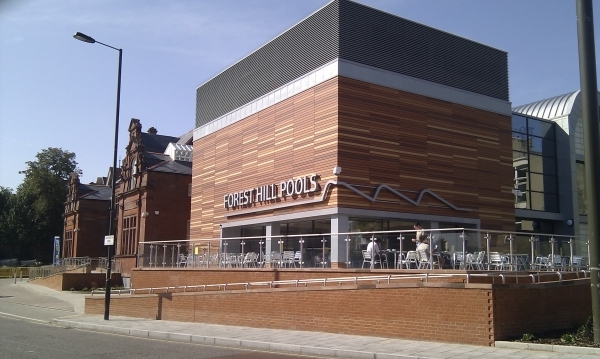 The redevelopment of Pizza Hut and the Red Cross shop on London Road DC/07/65320 was rejected by the council planning department on the grounds that there was 'insufficient design quality for this prominent location and would not preserve or enhance the Forest Hill Conservation Area'. We are pleased that the council took account of the objections by us and others. William Hill will be moving from their current location to the site of Blockbusters on London Road, as was mentioned in the last newsletter. This follows approval from the council. The site of McDonalds is being considered for redevelopment with a proposal (DC/07/65749) for demolition of the first floor and construction of three additional storeys at first, second and third floor levels, incorporating balconies and roof terraces, over the commercial shop units. Comprising 2, one bedroom and 7, two bedroom, self-contained flats, together with the installation of a new shop front. 1. The design of the proposed development may compliment the design of the Sainsbury’s store, but it does nothing to preserve the character of the high street within this conservation area. This building will significantly change the balance of architectural styles in the centre of Forest Hill, further detracting from the character if this conservation area. 2. Unlike neighbouring sites on London Road, the proposed design has residential upper floors directly above the shop front, rather than stepped back from the pavement. This reduces the light on the pavement and again alters the character of this road in a negative way. 3. With the increase height of this development and the increased profile along the side of the site, there will be a negative impact on the alleyway between this site and the Sainsbury’s site. This is an important pedestrian route from the council car park to the high street and it is our concern that with the reduced daylight to this area it will attract anti-social behaviour and discourage people using the high street for their shopping. 4. There are further concerns from the Society over the impact of any construction work on the site and would seek assurance that the passageway from the car park to the high street would remain accessible throughout any period of construction. We also ask that consideration is also given to the impact of construction on pedestrian and vehicle use of London Road during this period. Finally, we have recently heard that two appeals have been received by the council regarding their rejection of plans to build 84 flats behind Tyson Road (DC/06/63803) and 10 flats on Sunderland Road, on the site of the old Conservative club (DC/06/63172). The Society believes that the council were right to reject both of the proposed developments and will be closely watching the appeals process. If you are aware of any other planning issues that require the Society's attention then please let us know about them.